What Does Nursing Compact State Mean? What Is The Nursing Compact? A nursing compact state is a state that has joined the Nurse Licensure Compact (NLC) after passing legislation that accepts the Compact and incorporating the provisions into the state’s Nurse Practice Act. The NLC is an agreement among member states to honor nurse licensure of other member states for registered and practical/vocational nurses. A nurse with a multistate license in a member state can then practice in other compact states without additional licensing and fees. The Compact has existed since 2000, but with the increasing complexity of healthcare delivery, the mobility of nurses and modern practices such as telenursing, it was necessary to review and update the Compact. Accordingly the National Council of State Boards of Nursing (NCSBN) prepared and presented an enhanced NLC in May 2015. The new Compact is designed to increase access to care and maintain high standards in nursing practice at the same time that it decreases costs by cutting out redundant procedures and instituting an efficient process. As of April 2016, 28 states have joined the Nursing Licensure Compact. These states are listed below. The states of Massachusetts, Minnesota, New Jersey, and New York are currently working through the legislation, and other states are examining the Compact and deliberating on their decision. 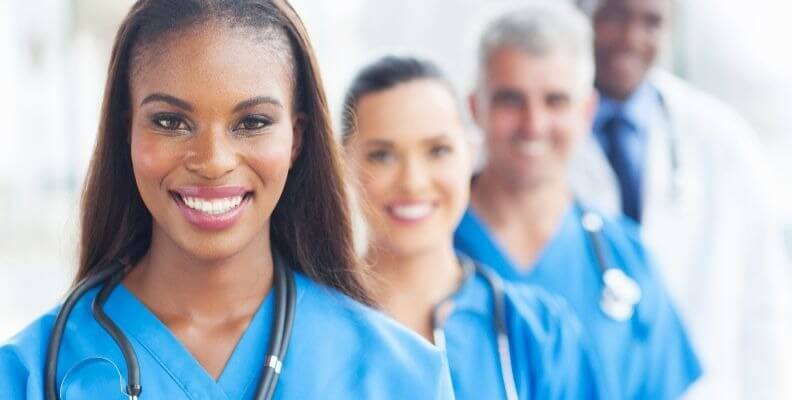 At present a multistate nursing license can be obtained only by active RNS or LPNs/LVNs who are residents of a compact state and are licensed and in good standing. NCSBN is working to promote a licensure compact for APRNs, whose jobs may involve working with patients across state lines through multistate health organizations or telemedicine. How Does the Nursing Licensure Compact Work for Nurses? Nurses who hold a multistate license under the previous NLC are grandfathered in with the new NLC. An RN or LPN/LVN residing in a compact state will be awarded a multistate license upon applying and meeting all requirements for licensure. This license enables the nurse to work in another compact state without the necessity of applying for another license. The nurse must adhere to the nursing laws of that state. A nurse with a multistate license who wants to work in a non-compact state would have to apply for license in that state. A nurse residing in a non-compact state who wants to work in a compact state must apply for a license of that state and will receive a single state license rather than a multistate license, which is restricted to residents in that state. In the case of a nurse with a multistate license working in another member state who faces a complaint or disciplinary action, the matter is reported to the home state but is handled in the state of practice. If the home state revokes the license, the nurse will not be able to practice in compact states. A nurse from a compact state who moves to another compact state has a grace period of 90 days after the move is made to practice with the current license and to apply for a license in the new state. It is recommended that the application be made early to allow for processing time. In the case of a nurse who moves from a compact state to a non-compact state, the multistate license converts to an individual state license where the nurse may practice in the former home state but not at other compact states. To practice in the new home state, the nurse will have to apply for a license in that state. In the case of a nurse who moves from a non-compact state to a compact state, the previous license remains valid within the rules of that state, and the nurse can apply for a multistate license in the new home state upon proof of residency and meeting all requirements. The official source of information about the Nurse Licensure Compact is the National Council of State Boards of Nursing (NCSBN). The text of the Nursing Compact is provided on the NCSBN website.